Simmons-Jiménez’s work reflects a background of transcultural influence. From an early age, she was always arriving or leaving somewhere mid-term, making her an outsider in new places as well as an outsider at home. Without roots binding her to country, religion, or class, she intuitively adapted a broad, self-curated archive of influences. Struggling to understand herself and her identity, she formed a maximalist approach to creating artwork and the feminine histories she interprets. Rooted in a tradition of art that values vision as well as craft, her work celebrates the physicality of the handmade while incorporating tangible spiritual components from nature. She is interested in the dynamics of patterns, multiple modes of viewing the world, myths and legends, cosmogony, and ecology, transferred to a visual language and filtered through a female sensibility. Her work and life is focused on a continuing conversation between the internal and external, the personal and collective. Simmons-Jimenez received a BFA from Newcomb College in New Orleans, began her studio practice in the Dominican Republic and is now based in Miami. 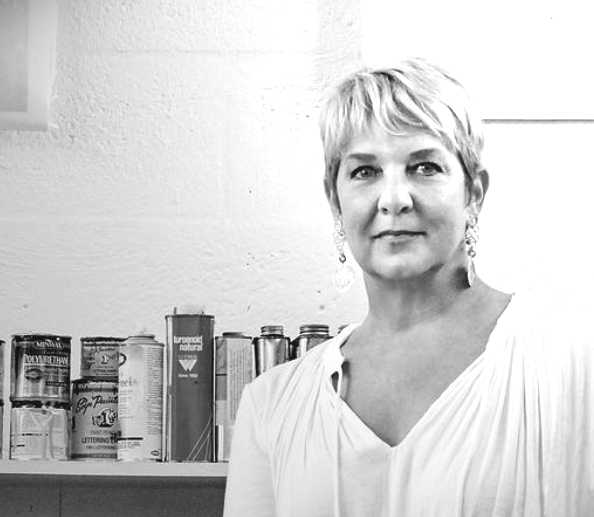 She has exhibited extensively in museums, galleries, and media festivals internationally and has collaborated with designers and architects to install large scale commissions in public and private spaces. She has had solo exhibits at the MOMA Santo Domingo, Palm Beach ICA Media Room with curator Michael Rush, Inter-American Development Bank Washington D.C. with curator Susana Leval, ArtCenter South Florida, Frances Wolfson Gallery at Miami-Dade College. Notable institutions exhibiting her work in group exhibits have been at the Chelsea Museum New York, The Mobile Museum of Art, the US Dept. of State Art in Embassies Program (Riyadh & Tegucigalpa), Casa de la Cultura-Valencia (Spain), Musée du Luxembourg, Boca Raton Museum of Art, the Appleton Museum, the Lowe Museum, MOCA N. Miami, the Frost Museum at FIU, the Gulf Coast Museum of Art, the Museum of Art Ft. Lauderdale, and others. She is a recipient of a prestigious Knight Arts Challenge Grant, a Florida Fellowship Grant, a Florida Artists Enhancement Grant, a Miami-Dade Tourism Development Grant, a Miami-Dade Community Grant. The artist was the first woman to exhibit video installation art in the Dominican Republic and in 1992 she was awarded the 1st Prize in Video at the XVIII Biennial in the Dominican Republic, resulting in her designation as a pioneer in video art and gender discourses in the country. She is listed among the creatives that helped forge the South Florida art community in the definitive books ‘Miami Contemporary Artists’ published in 2007, and ‘100+ Degrees In The Shade: A Survey of South Florida Art’ published in 2015. In 2017, she was awarded a Grant from the ArtCenter South Florida and the Es Baluard Museum of Contemporary Art in Palma de Mallorca to participate as a Visiting Artist. In early 2018, from her Miami studio, Simmons-Jimenez launched Art & Company Podcast, recorded, edited, and produced by the artist as a document of the South Floridai art scene and a means of connecting community.